Naked Waiters by Hunks in Trunks – We’re the Best in the Business! 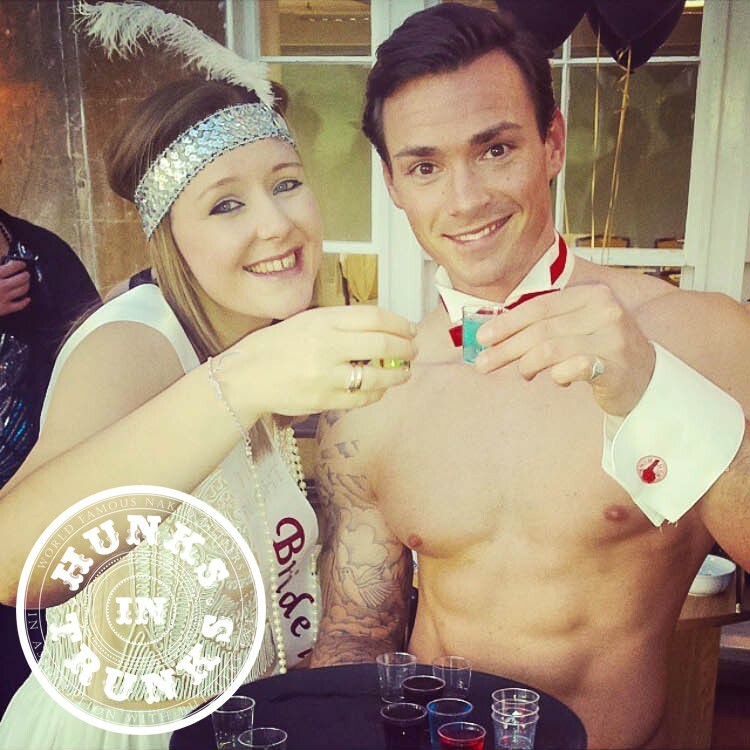 At Hunks in Trunks we provide ‘naked waiters‘ for hen nights, private parties, corporate hospitality and promotions. 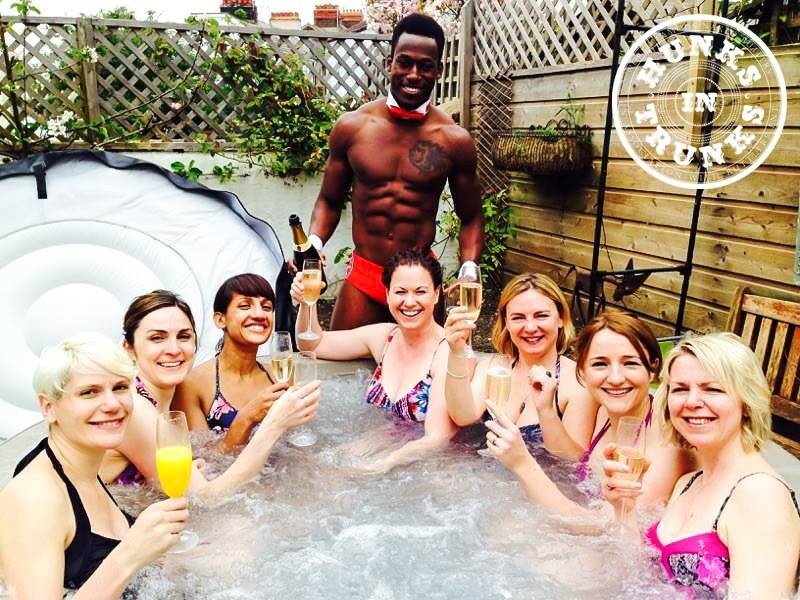 Our naked waiters are confident, polite and most of all professional in all that they do and we guarantee they will make your hen party, private function or corporate event a memorable one. Naked Waiter Prices – Quality and Quantity! We deliver the most professional service in the entertainment industry with our naked waiter prices starting from just £45 +VAT per hour going as low as £35 +VAT per hour and we often have seasonal promotional offers. Note. 1 hour bookings are charged at a premium rate as our waiters receive a minimum call out fee, so we always suggest booking for at least 2 hours. 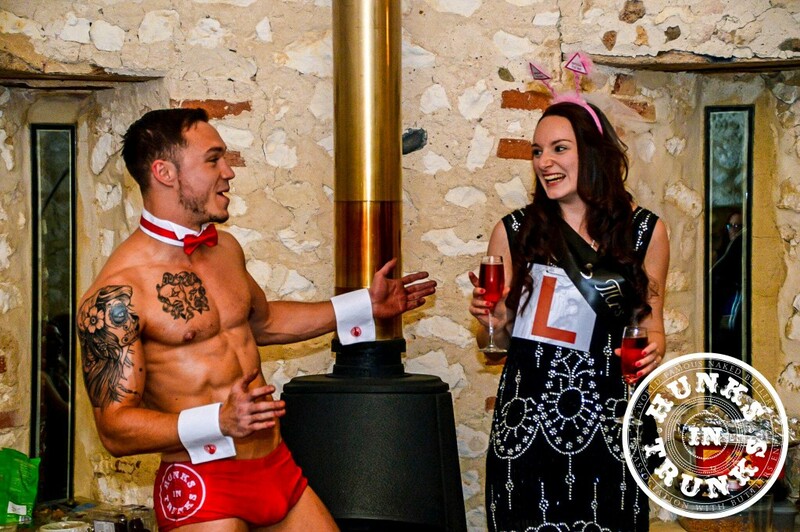 Our naked waiter attire worn by all of our hunks at hen parties and events consists of white cuffs, a white collar, a red bow tie and of course our trademark red trunks (with apron optional). 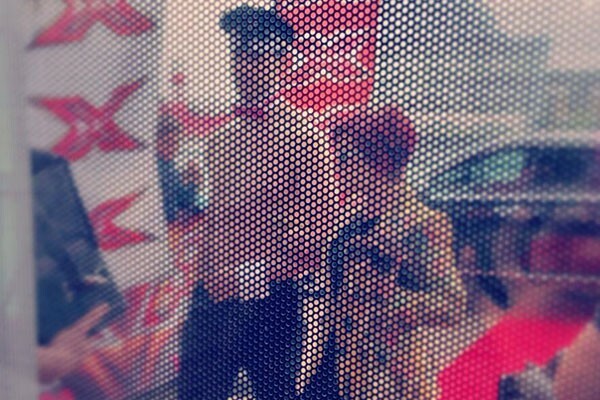 We’re simply the smartest naked waiters around! What do they do? You Can Decide. 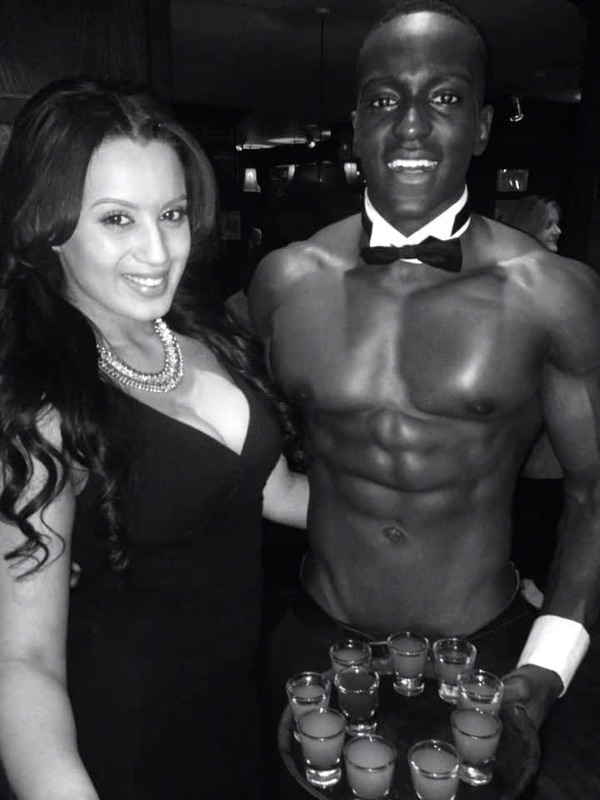 Our naked butlers can be used to serve food & drink, entertain guests or host events as well as provide promo services for companies or individuals looking to bring a unique and exciting theme to their event. 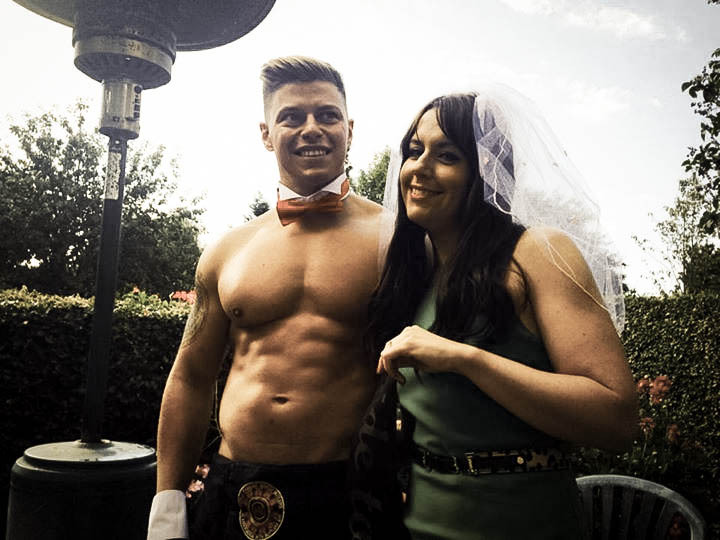 So whether you want a naked waiter to wait on you hand and foot, hoover and clean or meet and greet guests at the door, look no further than Hunks in Trunks because we’ll supply you with the man for the job! Click the “Online Quote” button above for an instant online quote using our Quick Quote Application. If your event is more than 14 days away you just need to pay a deposit of £30 to secure the booking.The remaining balance is then due 14 days before your event. If your event is less than 14 days away then you will be required to pay the full balance.